Quarterly Conversations are designed to share what is happening within the Division. This month’s conversation featured a presentation about Outdoor School by Susan Sahnow, director of Oregon Natural Resources Education Program. View the video of the November 20 Quarterly Conversation. With the passage of Measure 5 in 1990, Oregon’s property tax and public school funding systems were fundamentally changed. Outdoor school for 5th and 6th graders in Oregon was cut in many communities; in some areas, parents and communities raised the money needed to keep it operating. 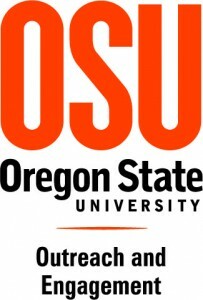 Susan noted that OSU started outdoor school in 1958, and that the Oregon Legislature believes OSU Extension is the preferred home for the program. Outdoor School requires approximately $22 million in funding annually in order to offer a week-long, live-in experience to every child in Oregon. If you want to stay abreast of its progress, Outdoor School for All will send email updates. You can sign up here. Click O_E presentionODS-Sahnow to view Susan’s PowerPoint presentation. Melody Mitchell, acting director of Professional and Continuing Education (PACE) told the group that PACE developed and delivered a program to the College of Pharmacy in a record 26 days! Stay tuned for more about PACE in a future blog post. The Division has closed on 2 of the 17 approved positions planned for the Division (an Open Campus and 4-H position in Grant County and an Open Campus Outreach Program Coordinator in Yamhill County), and is close to closing on a third position. Scott (along with representatives from Agriculture Experiment Station and Forest Research Laboratory) met with the Higher Education Coordinating Commission (HECC) to help them understand the scope and value of Extension activities in advance of budget proposals reaching them for review. He noted that two areas were of particular interest to the commissioners: Juntos (Open Campus) with its 100% graduation rate and 100% progression to college; and that of the more than 700,000 adult Oregonians that have some college credit but no degree, one-third expressed an interest in completing a degree. The concern and fear expressed at the Student Speakout on Monday, November 16, is a reminder that all of us need to consciously create positive and welcoming environments for our learners. 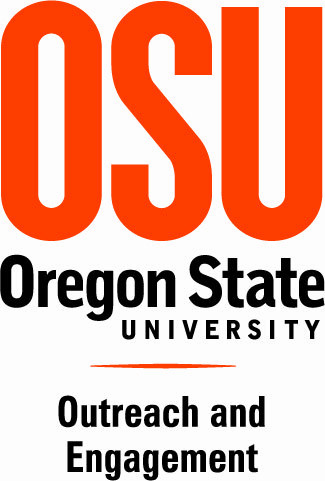 Jeff Sherman, OSU Open Campus and Special Initiatives Leader announced the 2015-16 Cohort for the Leadership Development Program for Executives. Dave King, Associate Provost of Outreach and Engagement, Educational Outreach, said to the audience, “It’s not too early to be thinking about joining next year’s cohort.” The application for the 2016-17 group will be available July 1. Posted in O&E Dvision Update.